"I have recommended Dr. Weinstein to multiple people, she always shows genuine care and fully explains what she is doing/providing. Excellent care!" "she is very caring and not alarming"
"Thrilled and very happy with Dr. Weinstein. This is why we come back and wait for an appointment." "Dr. Weinstein was very nice to both me and my infant son. She explained in detail what we needed to do and how soon we needed to come back to see if we saw any improvement. She answered all my questions as they came up as well as calling us to let us know the results of our first lab work very quickly." "Dr. Weinstein is awesome. My daughter is very comfortable with her." 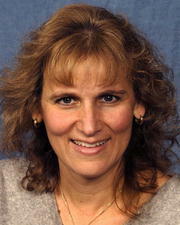 "Dr. Weinstein is amazing and we would recommend her to anyone with gastrointestinal issues. We are so grateful that we found her." "Dr. Weinstein is very kind and cares about her patients." "I was confident in Dr. Weinstein's abilities and she put my 10 yr. old daughter completely at ease during our visit." "Dr. Weinstein was EXCELLENT. I felt very comfortable with her as did my daughter. She was wonderful." "Dr. Weinstein is wonderful and caring. She has gone above and beyond to help." "A good experience all around." "Dr. Weinstein was wonderful she was thorough. We would highly recommend her!" "Dr. Weinstein was very nice, answered our questions well, provided follow up care, and was good with returning phone calls for questions we had." "VERY pleased & CONFIDENT in Dr. _____."